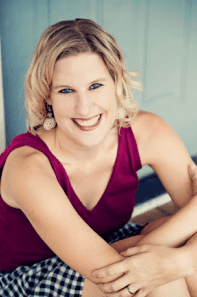 Heidi Gollub started Free Fun in Austin as a creative outlet in 2010, when she was ten years into being a stay-at-home mom and still had two little boys at home. She’d take her boys on a new adventure every morning and write about it in the afternoon when they were napping. Gradually, she started writing about free events that were coming up in Austin. Read on to see why this Austin Blogger decided to sell her blog. Tell us about your blogging journey. I started Free Fun in Austin in 2010 and it took off, kind of like a runaway train. So, I hopped aboard and started churning out content just as fast as I could, learning about website design and social media on the fly. I quickly realized that I would need a lot of help to keep up the pace, so I started bringing on managers, designers, advisors, and contributors. Seven years later, the site is still growing and thriving, with a wonderful management team and an engaged community of readers. 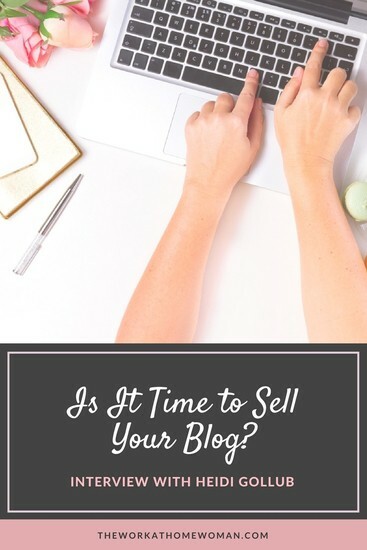 Why did you decide to sell your blog? Travel is my first love and I really wanted to devote more time to travel writing. With an amazing team in place, Free Fun in Austin was running like a well-oiled machine, and it just seemed like the right time to pass the torch and move on to other ventures. What did you dislike about blogging or what surprised you about blogging? The greatest challenge with blogging today is getting your content seen – even by the people who have liked your Facebook page and follow you on Instagram, Pinterest, and Twitter. It becomes a daily struggle, trying to outwit every new update to social media algorithms, and it can be frustrating. What assets helped to increase the value of your blog? The best business decision I ever made was to bring on a Sales Director. 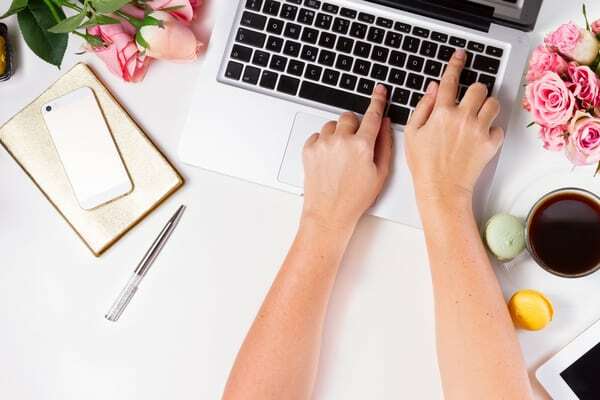 She encouraged me to plan my editorial calendar a year in advance and to focus on content that was mutually beneficial to our advertisers and our readers. As a result, I got much more organized, we set goals, revenue increased, and my stress level decreased. It was a game changer. How did you choose your broker? A friend sent me this blog post, written by another blogger who had recently sold her site. I reached out to the author of the post and to the broker she had used, Rob Toth of OODIENCE.com, to ask more questions. It was a leap of faith to entrust the sale of my site to Rob, who I never met in person, but he was amazing. I would recommend him to anyone! What is the process from start to finish, including the transfer of money and the website itself? The entire process took three months and Rob coordinated everything. He assigned valuation, vigorously promoted the sale, and provided me with four excellent offers. I was able to interview each of the potential buyers and decide who would be the best fit for Free Fun in Austin. The transfer of funds was done through escrow.com and I transferred ownership of the website and other assets directly to the buyer. It was all very straightforward and Rob walked me through each step of the process. What advice would you offer to other women who are considering selling their blog? I would say start taking steps to get your business ready to sell now, even if you’re not sure of your plans down the line. It never hurts to work towards becoming a more marketable business. My website broker wrote a great article on how to get your website ready for sale, which lists smart steps to take now, regardless of whether you end up selling your blog or not. As a mom of five, how did you manage your family time and your blogging time? I never slept! At least, it felt that way sometimes. I am not a morning person, but 5 a.m. is an amazing time to get work done without interruption. It’s great to buckle down and knock out some work before the rest of the world wakes up. I also recruited a ton of people to help me. It was hard at first, to give up some control, but the results were amazing. I had contributing writers from every corner of town, writing about their favorite family outings. I partnered with a photographer and graphic designer to create an e-book. And I worked with other blogs to develop local guides. There were so many new and exciting projects in the works that there was no way I could have done it alone. For a few years, the website owned me. I worked myself into the ground. The decision to stop working on weekends changed my life. I started scheduling Facebook posts for the weekend and would close my laptop for two days. Then on Mondays, I returned refreshed with new adventures to write about because I had spent my time off having fun with my kids! Do you think you’ll ever start a blog again? Maybe! I’m going to spend a few months traveling before I jump into anything new. Until then I’ll be sharing my adventures over at TravelingMom.com and RWeThereYetMom.com. Thanks Heidi for sharing your story! Originally published April 21, 2014. Content updated June 26, 2017. I am a stay a home mother of two. My husband is in the military and I loooooooove being his backbone and a super mom to my boys but I am ready to help financially more and become an even better super mom. They are 3 and 7 months and growing and changing daily. I have a degree in criminal justice and until I am able to put that to use I want to get my gears going again. This site has motivated me to get started. Being a blogger with bringing children to grow is not easy, happy to hear her decision and thanks for the detailed interview with her! Glad you enjoyed Heidi’s interview!